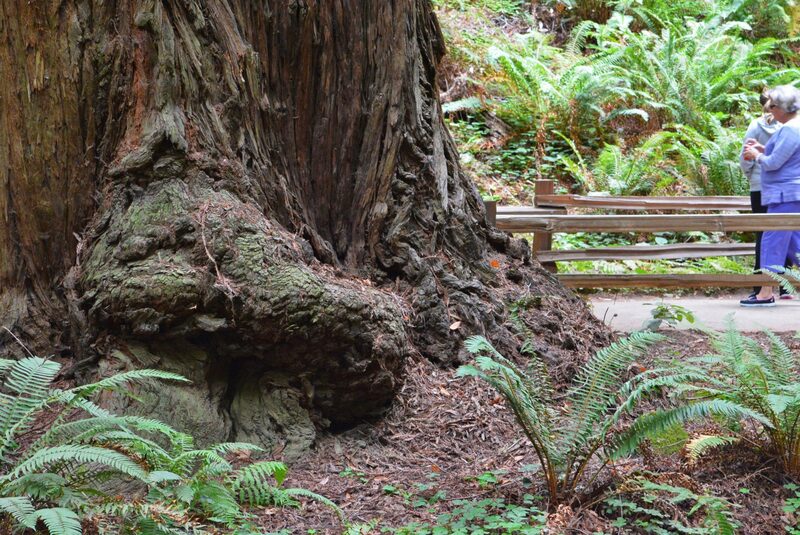 Although I’ve been creating redwood burl tables for over 30 years, it wasn’t until our recent trip to Big Sur & Muir Woods that I actually got to see a burl growing on a redwood tree. 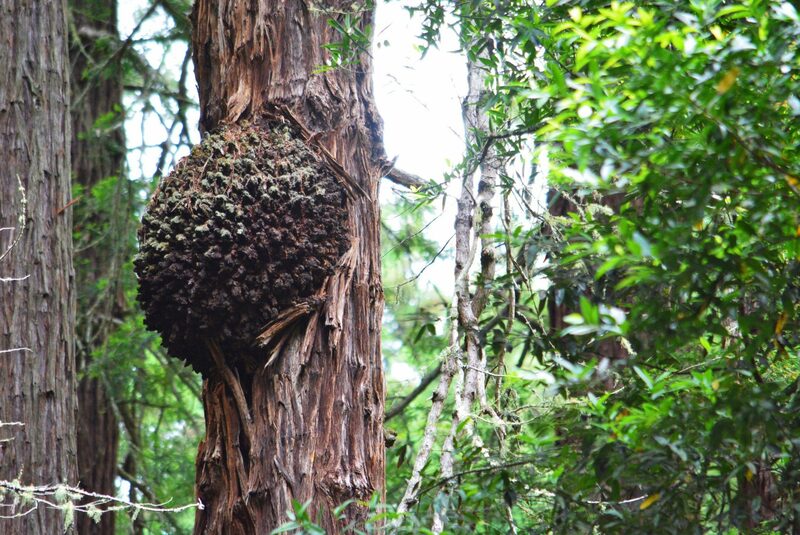 A burl is an external growth on a tree that can be caused by stress such as an injury, a virus, fungus or insect infestation. 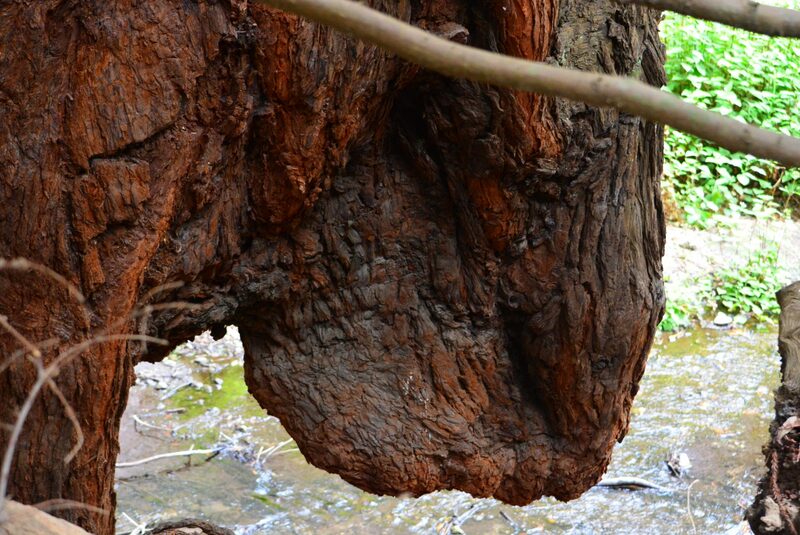 Instead of the growth rings found in normal trees the burl has irregular patterns ranging from swirls, curls or “eyes”. 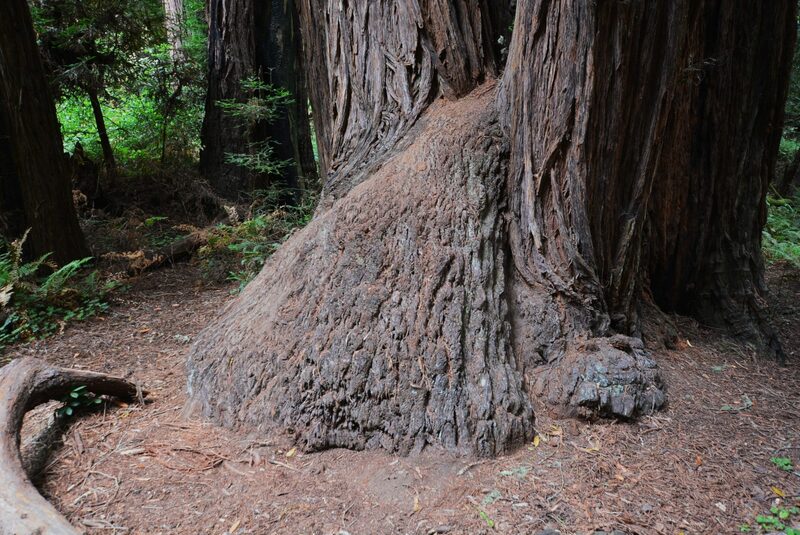 In the past when redwood was harvested, if a log had any defects in it, it was left in the woods because it had no commercial value at the time. Those defects would have been curls in the grain or burl formations of any kind. This wood was considered not structurally sound & could not be used to make lumber. Although these left over logs or growths are not good for lumber, they have been become very sought after for making furniture, mantles, turned bowls & veneers for high end accessories. 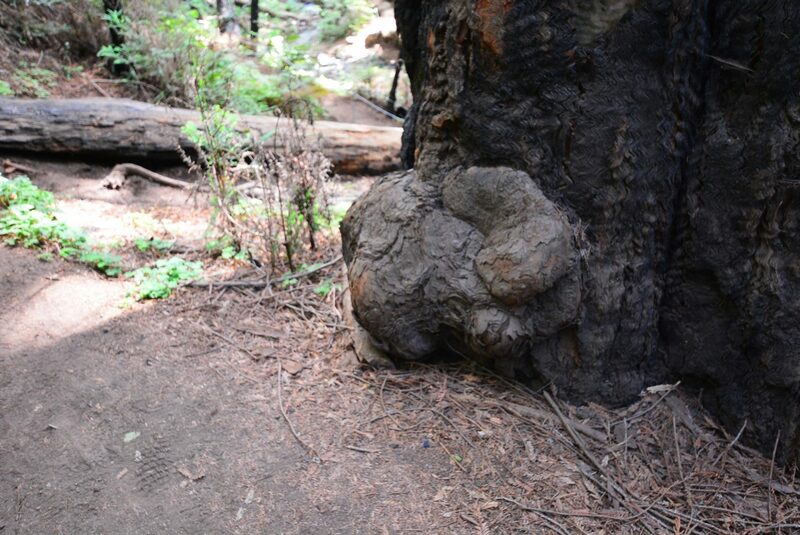 Most burls are found near the base but some can grow high up in the tree or can become a”hanging” burl as shown in the following image. 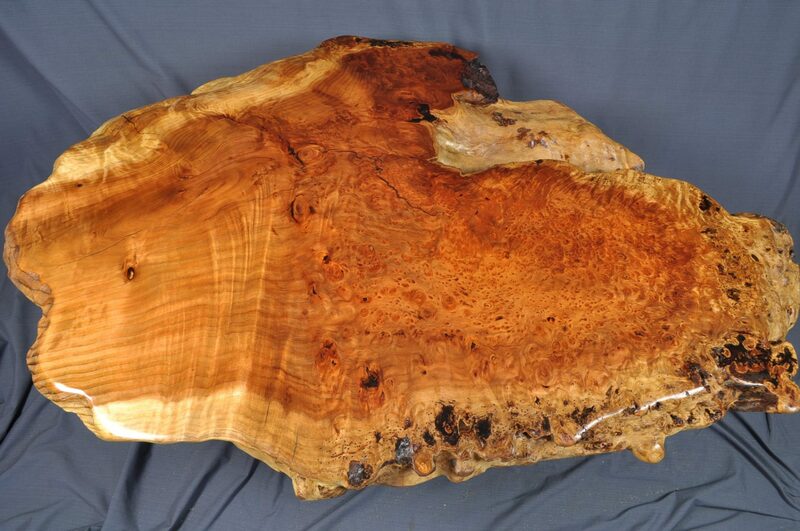 I recently sold a burl table created from a second growth burl that displays the demarcation between the straight grain & the beautiful, unique burl grain pattern. Ironically, it was purchased by gentleman in California & that’s where I’ll be shipping it this week.